Now that it's almost Winter, I thought I'd take inventory and let you girls know what products I used consistently throughout the Fall season. I used much less makeup than I thought I would, purely out of laziness I might add. I focused on enhancing features I like, instead of really getting creative and coming up with different looks. I hope this little list of favorites doesn't bore you all, but at least we know what really works. 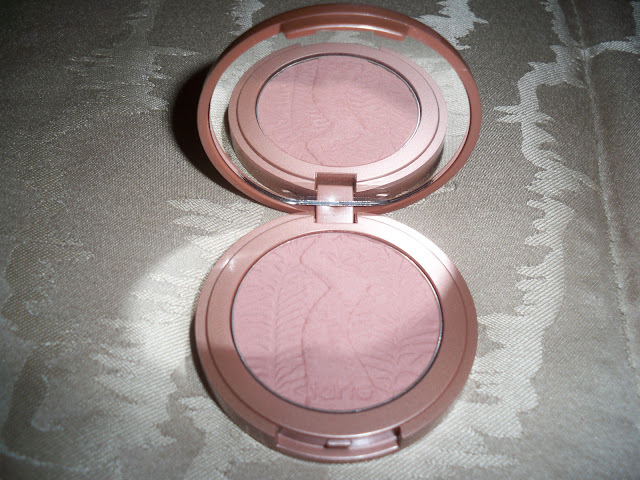 Tarte Amazonian Clay Blush in Exposed is a tawny, natural color that goes with everything. I wore this blush the entire month of November, and so far every single day this month too. I sort of feel guilty for abandoning my other pretty blushes, but this really is a no-brainer. I've also been using it to contour, and I find that I don't even reach for bronzer because this gives my complexion a nice glow on its own. ﻿I'm a huge fan of highlighters in the colder months. Amber Diamond by Dior gets rave reviews on Temptalia, YouTube, Sephora, and on MUA. Women of all ages find that it leaves a soft sheen and not an overly glittery or greasy mess. I think it would be flattering on everyone. I have been using it not only on my cheekbones, but also on the apples of my cheeks. I love it. As much as I love my UD Naked palette, this one by Too Faced has won me over. The colors are soft and eye brightening. I have been reaching for these shadows over any others in my collection. They all work together to create the perfect naked eye. I use this palette mainly for work. I've already talked about the Maybelline Define -A-Brow and my Kirkland spoolie brush from Costco. These are the tools I use to amp up my eyebrows. As for lips, I haven't been reaching for one in particular. I try to wear a different lipstick every day. Favorites include the Revlon Lip Butters, my MAC lipsticks in See Sheer and Shy Girl, a lip stain by TheBalm, Stila's Paramour, and lip balms from Korres, Victoria's Secret, and Fresh. The blushes all have such beautiful colors. I need a brow groomer. 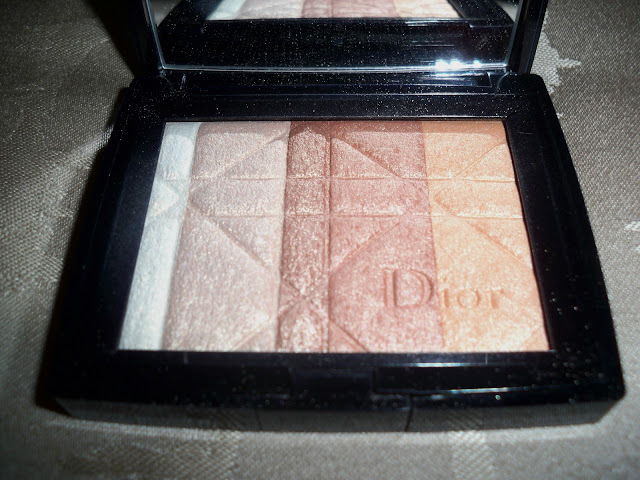 i have been wanting to try the Dior amber diamond :) thanks for sharing these! I love that Dior set!! I am happy you showed us these. Veronika: You would love it I suspect ;) I know you lean towards natural makeup and the Amber Diamond is extremely natural as highlighters go. I'm loving tarte's exposed too. I had to buy a new blush brush to apply tarte's blushes with-and now I wear one of them everyday. On days I want to do a quick look & skip the bronzer, I wear exposed. It's such a pretty and unique color. I have heard so many great things about Tarte's blushes - I can't wait to try it! Yours is a lovely color. I was looking at Too Faced palettes the other day, the colors do look very pretty! 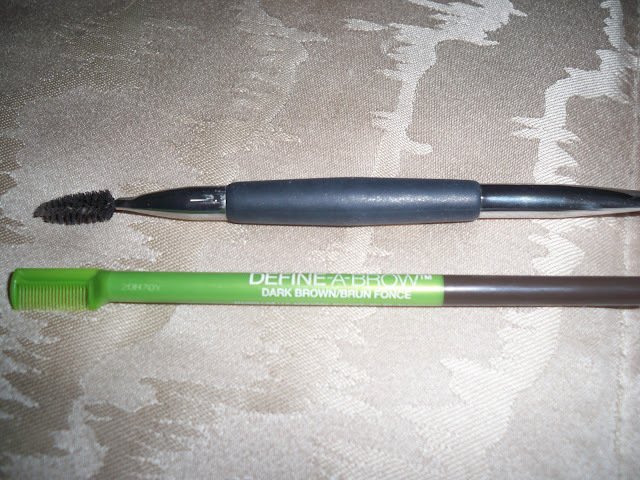 That define a brow is my next eyebrow tool/pencil to try! Happy Holidays! OHH i'm going to get that dior amber diamond highlighter i've been looking for one.. but i think i grew out of my last one.. because i suddenly was like ' HOLY CRAP I LOOK I'M GOING OUT TO THE CLUB ' bahahaha. I'm an Exposed girl too :) Thanks so much for the tip about the dior highlighter, I've been looking for a new one. The colors in the pallet look so pretty and frosty...perfect for winter. great post! I love getting recommendations and hearing about others favorite products. I've been wanting to try that blush, am definitely going to have to order it. Ella: I'm glad you like it too! I use two brushes to apply it - a blush brush and a rounded kabuki for contouring. Katherine: The formula is very nice, it lasts for a long time before fading. I hope you try one! Jackie: Same to you! I hope you like the brow pencil as much I do. Lisa: LOL! Ok, not to bash NARS but they (IMO) have the most glittery chunky highlighters! I think Albatross is pretty for the holidays, but it is overboard most of the time. MAC can be tricky too. I know you'll find that the Dior is beautiful and grown-up. You don't risk looking like a disco queen! Andi: I know, I believe we got Exposed around the same time. So pretty! Nina: I love this palette! Love! Tiffany: Thank you, I hope you like it if you do! Noelle!! I haven't logged onto the blog world in months..I almost forgot my password! LOL..I've been calling you but it just rings and doesn't go to voicemail or sometimes it's just silent..i don't know if it's my phone or yours b/c I know reception at your house can be crappy but my phone is also crappy! :) My phone just died of course but I will call you from my work tomorrow so answer if you aren't working and get a call from a 619 area code :) Love you! ps. love the shirt in your last post!